3. 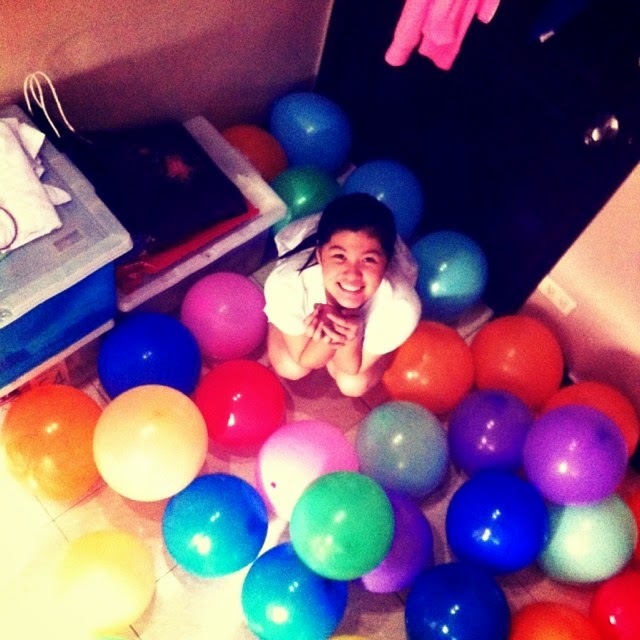 Selfie with the balloons. 5. Unwinding with my twin. 7. 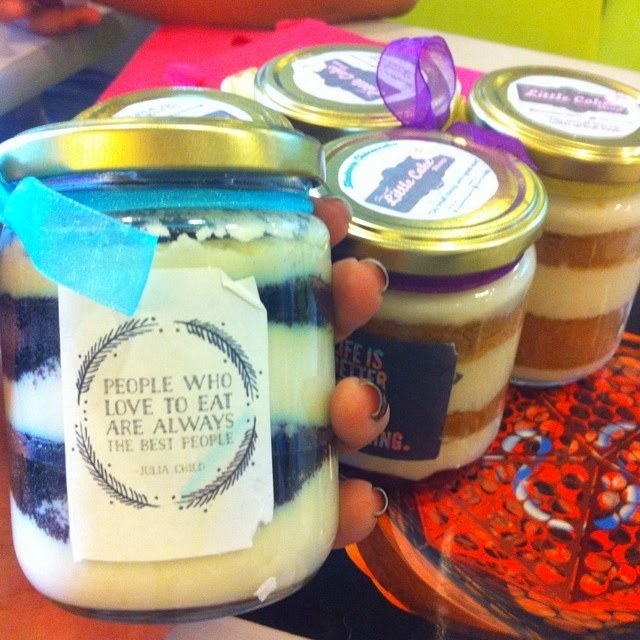 Sweet tooth craving for a cheesecake jars. 8. New friday habbit. Biking around MANILA. 9. Shopping date with my best friend. Another time to be together! 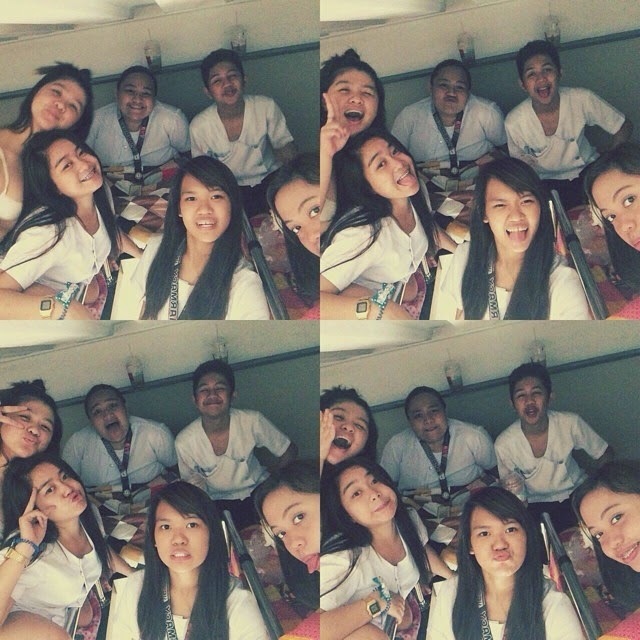 So me and my twin Mikka went straight to my apartment after eating lunch when my other friends arrived. We literally miss each other every time because we lack of time to bond that is why we spend our time talking about school and random stuffs. 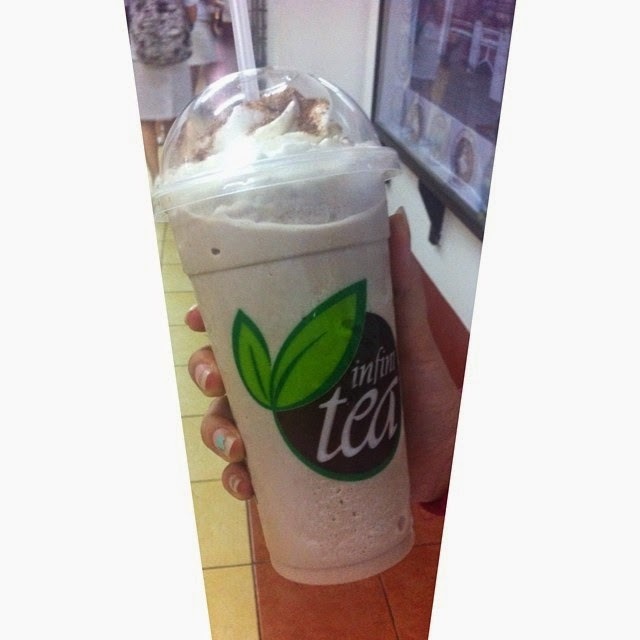 My drink of the day is this Godzilla from Infinitea. That one was there latest menu last July. It was made in Milo and it really taste good. I recommend you to try it. So once again I helped someone surprise her love one. This time is my twin's bae who happened to be my friend also. We planned it to happen in my apartment and thanks God it is successful. This was the video of the surprise for Ser Lorenz's 19. 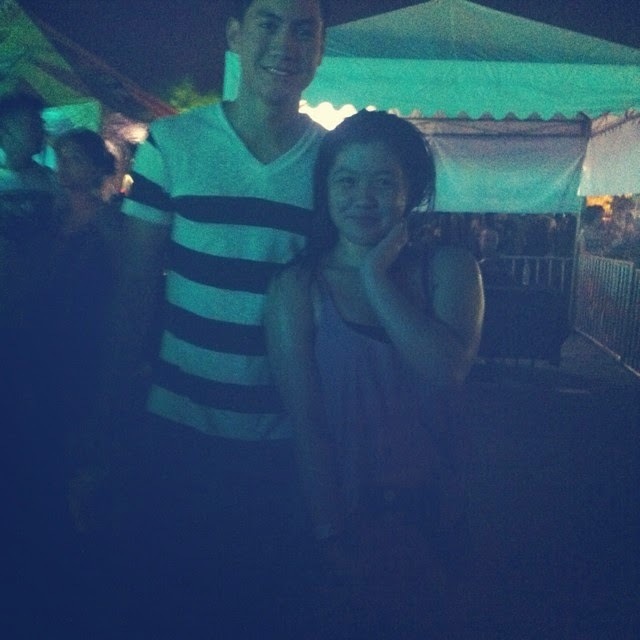 Then after the surprise we head to his birthday dinner celebration at P. Noval. 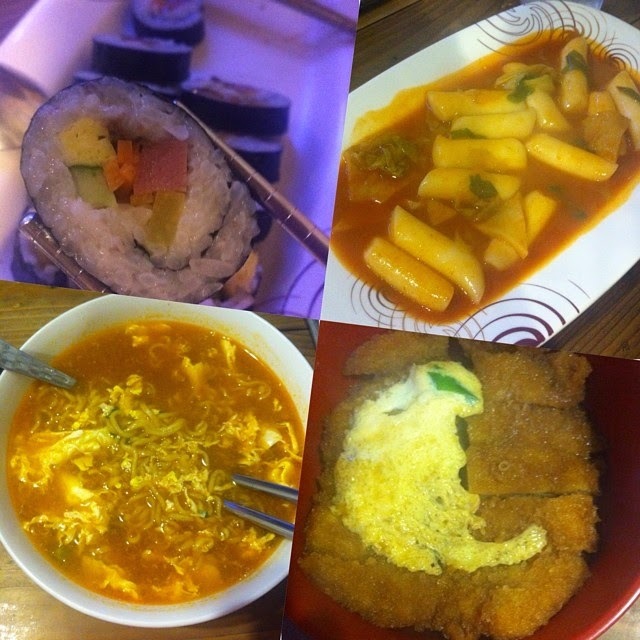 We crave for some Korean/Japanese food and we want it on a new environment. We don't mind the hassle things we went through just to go there even though it is raining cats and dogs. As a pharmacy students at CEU, you really are going through a lot of stress in studies. 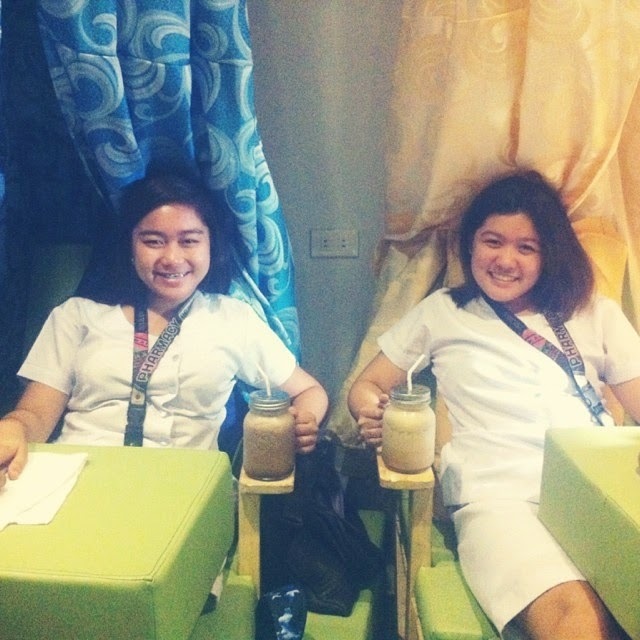 So a a reward for our self me and my twin found this new Coffee/Spa that was originally from Boracay. The footzees Cafe and Spa has a branched in Bora, Lipa, Mendiola Manila and Morato QC. There service was really good and relaxing. We tried their coffee in a mason jar, unique and very tasty! It was July 5 and I have 3 debut party that I need to attend. But of course in order for them not to make jealous of the other because I can't cut myself into 3, I decided to play safe and not attend any of them. But then UNLEASHED 2 is happening at that moment in Mega Tent Libis, and because I haven't attend any wet party in my entire life I called any of my friends and lucky me, they joined. The fire track plus the heavy rain plus the foam plus the DJs plus cool and fun activities equals ONE EPIC AND HELLA NIGHT! Won't let slip a month without trying something new so when I saw this one on IG I really ordered a lot for my sweet tooth. It is really worth gaining weight. If you like to order follow @sweetlittlecakes19 on instagram. I know I really gained weight so I found this new habit of biking. When a friend asked me to joined their usual Friday Night Ride I gladly wanna try it. It helps me lose carbs even in a small amount. And it was really fun. Usual rides and from Mendiola to MOA, Mendiola to Marikina and and epic experience, Mendiola to MOA to BGC! Yes! 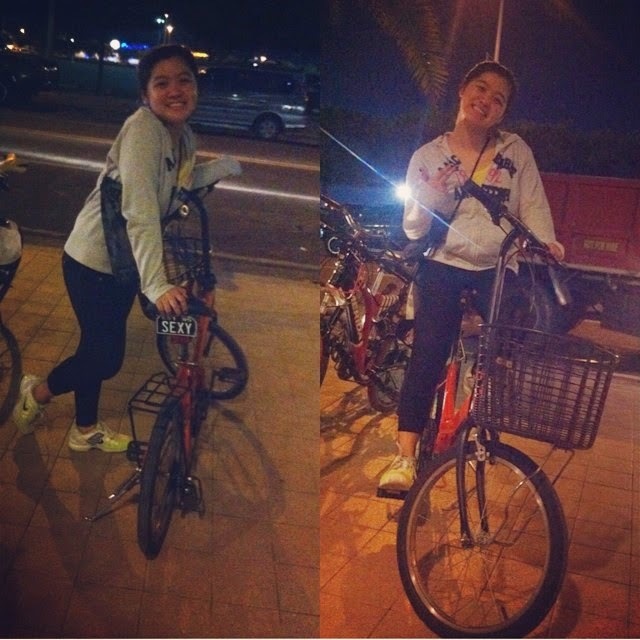 I tried biking at C5! 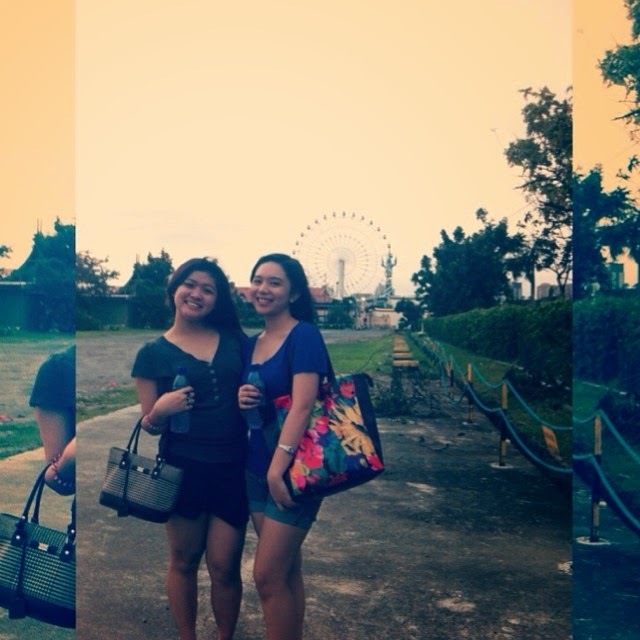 Having my long time best friend with me in Manila was the best! Even she's from Espana and I'm from Mendiola, we find time to bond even once or twice amount. We are really busy so when I had a chance to bond with her I called her and ask if she want to go shopping with me at a bazaar happening in WTC. So yes. we spend a lot of our money shopping and bonding and having fun. I hope you are all updated to what happened to me during the month of JULY.